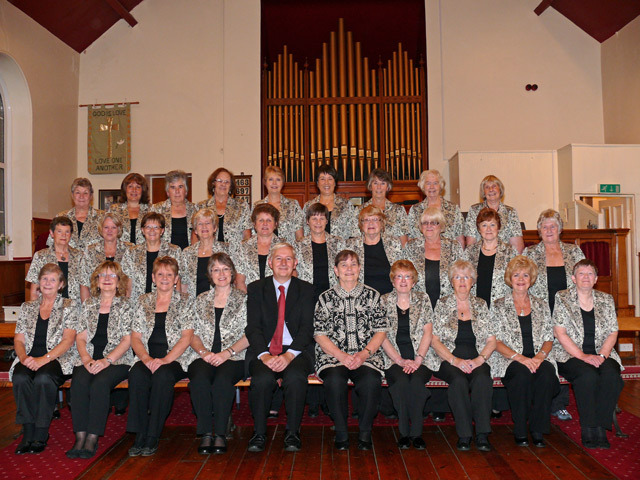 Almondbury Ladies Choir evolved from the Townswomen’s Guild Choir in Almondbury in 1964 and was then known as Aymbry Ladies Choir. Our present membership is 40 but we always welcome newcomers! We have a diverse age range and it’s never too late to enjoy singing. We meet every Monday evening at 7.30pm in Hall Bower Chapel. In 2014 our Musical Director, Angela Griffith, celebrated her 30th anniversary with the choir. Tim Wilkes, our accompanist, joined the Choir in 2010. If you would like to come along and join us ring Cath Burrow on 01484 321593.